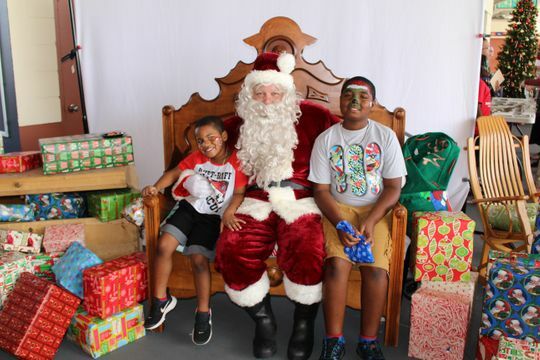 More than 250 children from across the Treasure Coast attended the 3rd Annual New Horizons Breakfast with Santa at First Data Field on Saturday, Dec. 8. 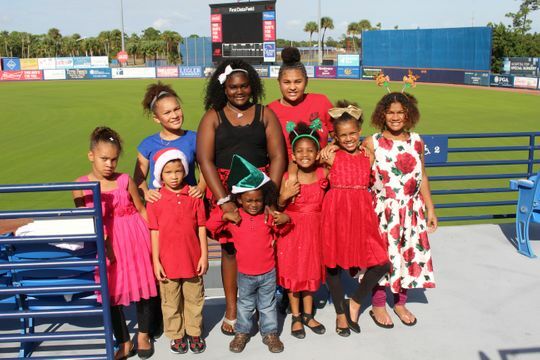 Presented by the St. Lucie Mets, the event featured an all-you-can-eat buffet, cookie decorating, card making, face painting, music, games and photos with Old St. Nick. “The youth we serve in the community have experienced hardships — some unimaginable. Our intent for Breakfast With Santa is to help create wholesome memories for all children in the community,” said Pat Austin, New Horizons Board Chair. Funds raised at the holiday celebration support children services at New Horizons. Many thanks to the Treasure Coast Photography Center, which provides a volunteer team of photographers every year to take pictures of the children with Santa, giving them photos as keepsakes of the special day. In addition, much gratitude to sponsors Sodexo, DJ Jay Dee, Jodi Harvey, Face Painting by Joanne, Publix Charities, Jackson Drugs, Fort Pierce Discount Pharmacy, G. Alan’s Fine Jewelry, the Council on Aging, and Fort Pierce Central High School students for graciously volunteering.